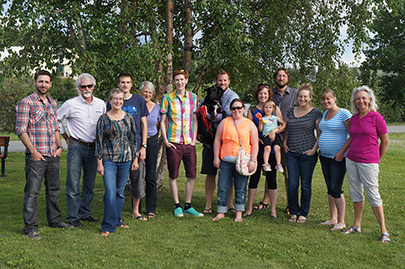 Earlier this week, all of the folks at Aasman prepared their favourite dishes, left the office early and congregated at Rotary Park for the Aasman Summer Potluck. There were some ominous thunderclouds threatening to dampen our party, but they stayed away and allowed us to have a wonderful time in the sun. Our combined culinary contributions filled three entire picnic tables, and every single dish was utterly delectable. 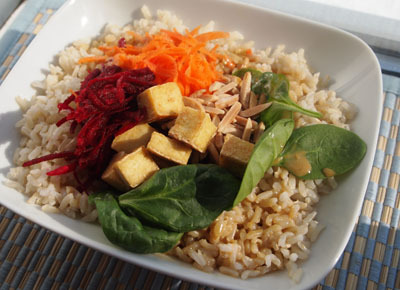 Here are the recipes for a few healthy items, as prepared by Corey, Martie, and me. 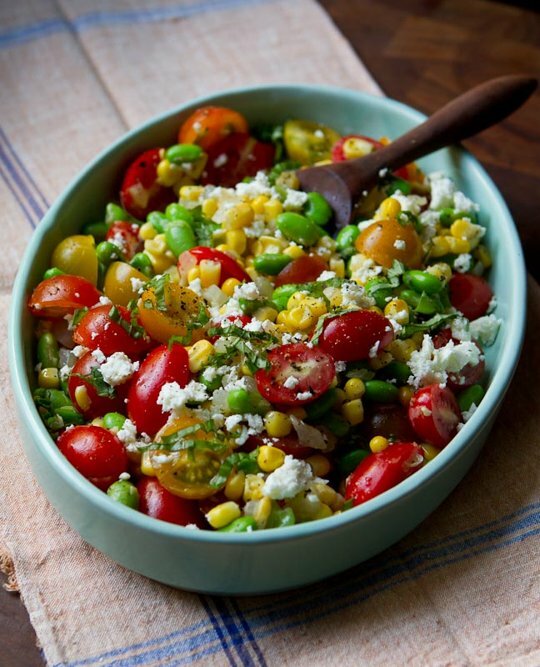 This simple succotash is fresh and crisp, and the combination of basil, corn, and tomatoes will delight your tastebuds. 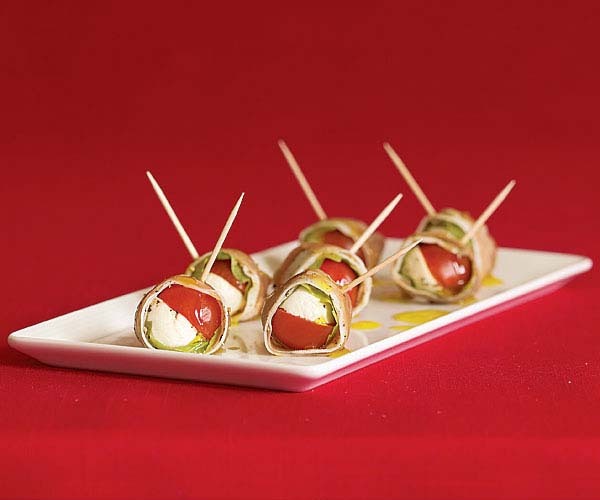 These little bundles are smooth, creamy, salty, sweet, juicy, and just downright delicious. This scrumptious salad has enough protein, carbs, and fibre to keep you going all day, and its delicately complex flavor makes it very addictive. I have been eating leftovers from the potluck for the last couple days, and I am firmly convinced that we need to make it a monthly ritual…perhaps weekly. Those salads were delicious! Thanks everyone. It was also a sad event… we said goodbye to Neil and Kirsten. Thanks for the photo Bruce! Oh… and Rona, Zeke, Micah and Oscar are missing… so is Heather, Paul and Eleanor. Next time.